This week we’re shining the spotlight on Richard Platt, Managing Director at Woodhall Spa Manor. 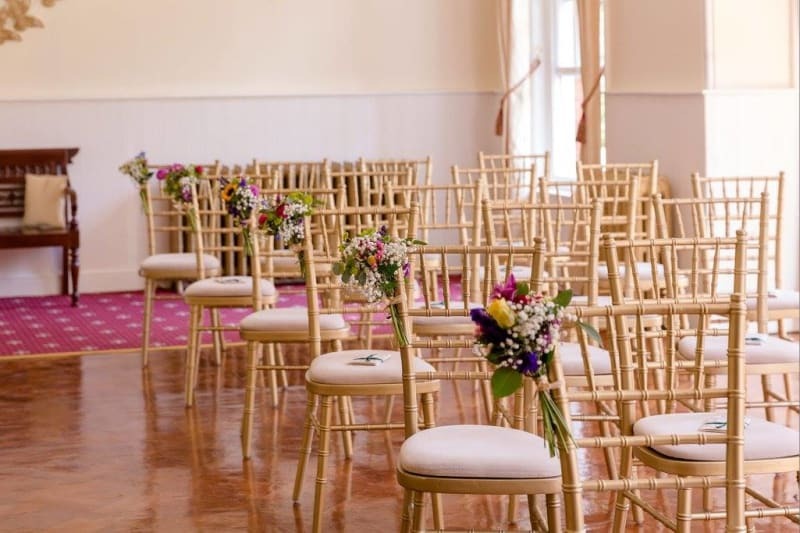 Leaving behind a life of comfort, Richard and his family set about turning a mundane set of offices into a beautiful wedding venue by restoring its Edwardian splendour. 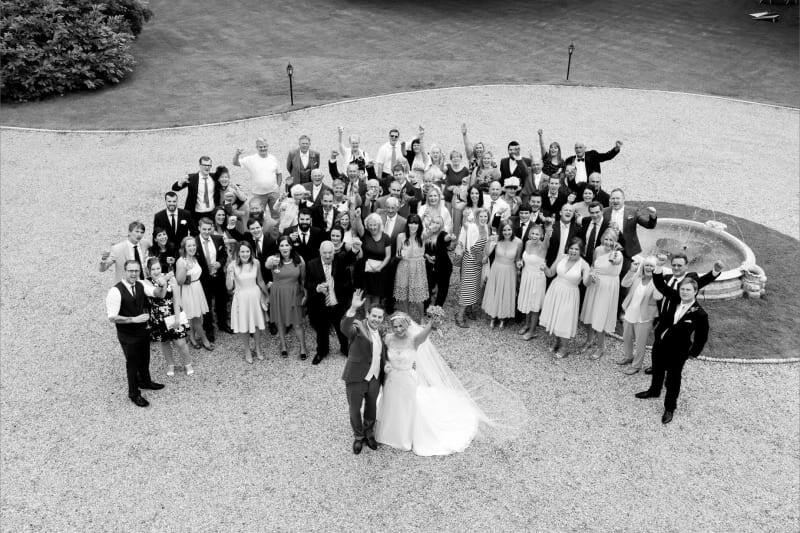 Woodhall Spa Manor is now an internationally recognised venue that helps to create an amazing wedding day for all their couples. So without further ado, Richard over to you! We’re a close-knit family of three and all very driven in our own way. 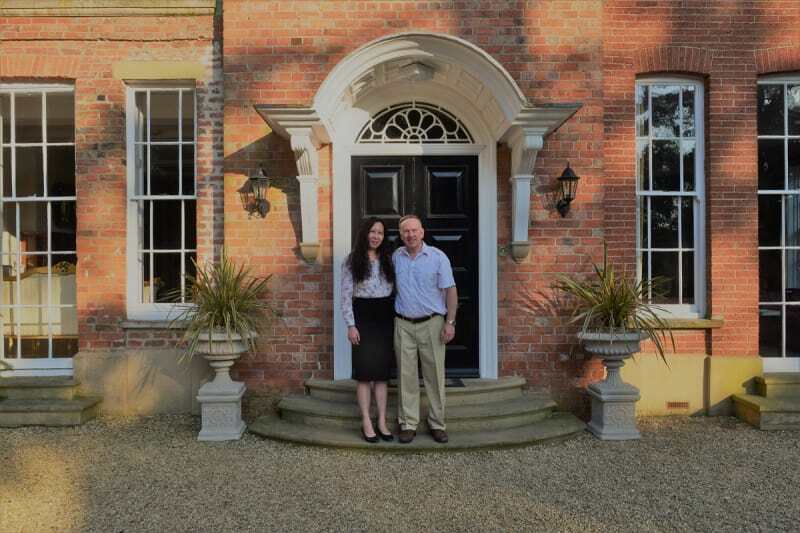 Jasmine, from Shanghai, has a degree in hotel management and an MBA from Leeds. When we met, she was about to embark on a career in banking in Manchester. I have a degree in German from Bristol and a background in cruise line and hotel sales and marketing. My second career was the ownership of an antiquarian bookshop in Blackheath, South London which Jasmine and I ran successfully together for eleven years with lots of help from our young daughter. Around 2010 we were beginning to tire of our urban retail lifestyle and were avidly watching “Country House Rescue” on TV. This gave us the idea to find a grand old building somewhere in the country and to turn it into a venue for luxury self-catering weddings. We spotted a near-derelict manor house in a charming village called Woodhall Spa, where a recent attempt at refurbishment had been abandoned. It had real potential and we were hooked! We gave up our day jobs and stepped into the unknown – it was a massive life-changing decision! The red brick manor, with its huge sweeping staircase, high ceilings and spacious corridors, had been turned into offices in 1965. Our task was to return the office space to its original Edwardian splendour, whilst updating the business infrastructure. In July 2013, we got started and 13 months of blood, toil, tears and sweat were to follow. Jasmine was brilliant at interior design, planning and costings, whilst I quickly learnt the practicalities of DIY tasks and delegation. Regular visits to the village shops meant word spread locally, which led to our first wedding booking. We secured a licence from the council and opened for weddings on 8th August 2014, and the local postmistress’s daughter married here the very next day. Since then, business has beaten a path to our door. Last year we hosted over 30 weddings and are on track for the same this year. We’ve welcomed guests from all over the world and have recently been awarded a top honour from the Luxury Travel Guide, who voted us as European Wedding Venue of the Year 2017. 3. What’s your favourite room in the Manor? Every room here is different but my personal favourite is Room 1, a really big Georgian-style junior suite with lovely views over the east lawn towards the Italian sunken garden. It features a king size mahogany sleigh bed with memory foam mattress and a really comfortable sofa. Whenever I go there, I recall the time I spent levelling the floor prior to carpeting it with large sheets of plywood and 1200 screws! Jasmine and I were trained in the hospitality business and we both have an ingrained service ethic. We are good with people and so we knew that we would probably be suited to this business. Weddings are obviously happy occasions and so the idea of filling the large manor with music, fun and laughter was very appealing. There is a perception that amazing weddings probably cost the earth, so we work hard to help our couples keep costs down wherever possible. 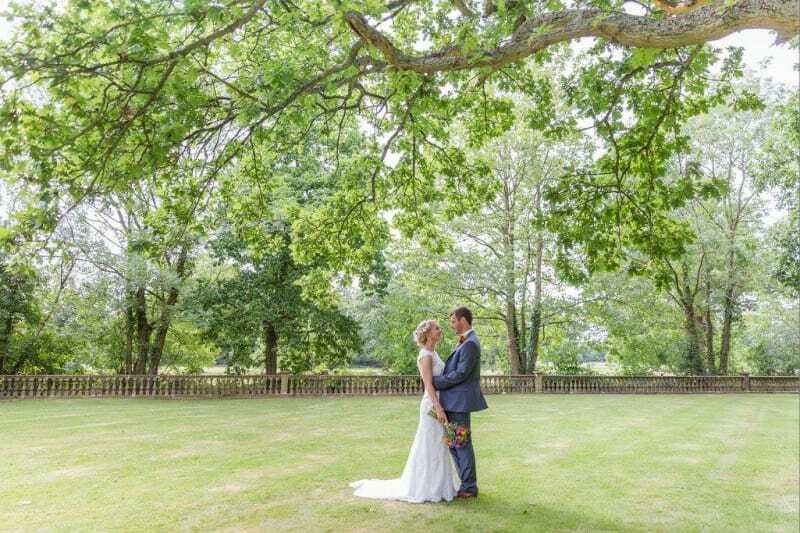 Our model as a self-catering venue allows couples to bolt on other elements themselves – lots of couples very much enjoy holding a DIY wedding. We’ve found that self-catering is definitely the way forward for us. 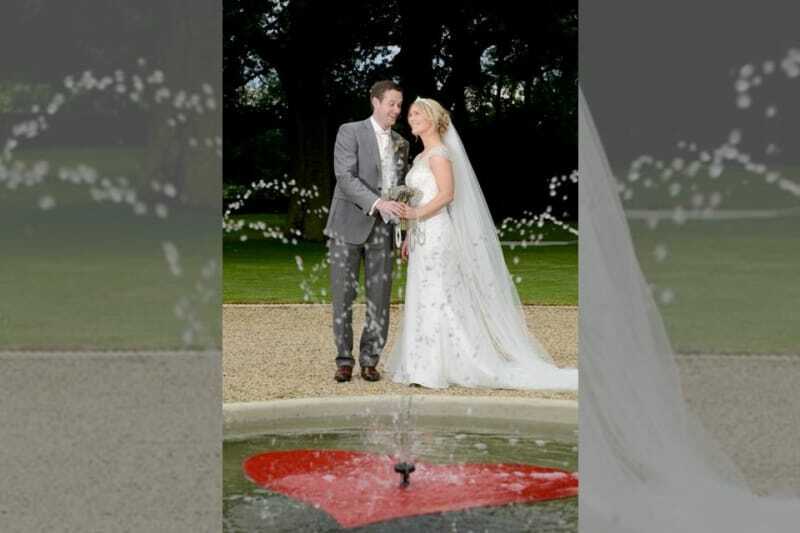 There’s a marked increase in the number of couples looking to marry outside in lovely, natural surroundings. With this in mind, we’ve just finished restoring the old Italian sunken garden in the grounds, together with its formal pond surrounded by tall trees. We’ve added a beautiful, white heptagonal gazebo, making the whole area perfect for outdoor ceremonies. Not getting in the way of the party! Sometimes we do have to make an appearance to assist with moving furniture, opening sash windows or changing a light bulb. But because we’ve rented the manor to the bride and groom for their exclusive party, we really do like to be as inconspicuous as possible unless we’re needed. 8. Do you feel technology is changing the industry? Massively so! Gone is the need to advertise in glossy magazines, as the internet and social media does it all for you. It is far cheaper, much more targeted and vastly more effective in achieving measurable results. I’ve found an ingenious way to varnish the function room floors. I used to use a large brush but now I use a long telescopic pole designed for window cleaners – with a sheepskin T-piece on the end. Sweeping this over hundreds of large old parquet blocks means I can do three huge floors in an hour! For the most part, the public’s perception of the wedding industry is now, more than ever, influenced by online reviews and I believe them to be a generally very positive thing. Appointments are usually requested and confirmed by email. I always do the first show around. I was a tour guide as a student and went on to show many clients around cruise ships in my 20s, and after 3 years at Woodhall Spa, I still really do enjoy interacting with new guests. When showing them the manor and grounds, I love the challenge of listening to what people want and how to adapt what we offer in order to best suit their requirements. If we’re shortlisted for a second meeting Jasmine goes into the real detail of timings, seating plans and so on. 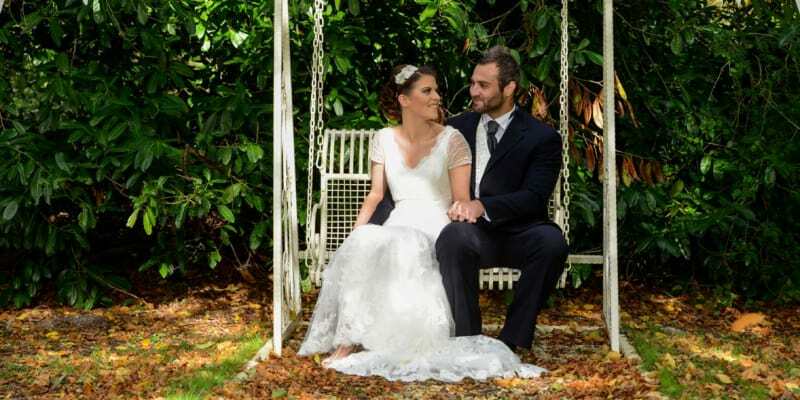 It’s not unusual for couples to visit half a dozen times before their big day, to go over the details with us or to meet their other suppliers here. Through this, we build a good rapport with our couples up until the big day. 12. 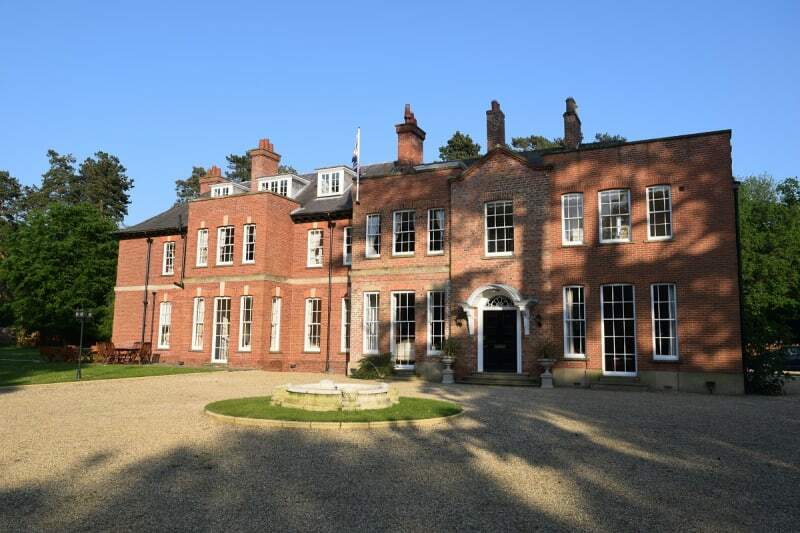 What do you think makes Woodhall Spa Manor unique? We take a totally DIY approach. We’ll ask: “What sort of a wedding do you have in mind?” and go from there. We always talk about what they want to do and achieve, and are open to working with any suppliers they suggest. A lot of the basics are included in our standard price, but we’ll always be willing to help in any other way we can. For instance, we offer free access to the manor a day or so before the rental period to set tables, arrange decorations and to store wines. We always give a bottle of chilled champagne to the bride and groom and, in the summer, there’s often fresh borage and mint freely available from our private herb garden for clients’ Pimms. Extensive venue and supplier research to find the right team at the right price; meticulous planning; teamwork; delegation; and luck with the weather. Get these right and you’re well on the way to achieving the perfect wedding! An RAF officer from nearby Coningsby arranged for a special “bachelor flypast” just before he went inside to get married. A World War 2 Spitfire suddenly swooped low over the manor, “buzzing” the assembled guests standing around the fountain in the glorious June sunshine. It was a wow moment to remember! It’s young, refreshing, very well-informed and very passionate about the weddings industry. A brilliant, go-ahead online platform. Just a big thank you to Bridebook for the kind invitation to share the story of Woodhall Spa Manor with your readers. A huge thank you to Richard for sharing his Supplier Story. 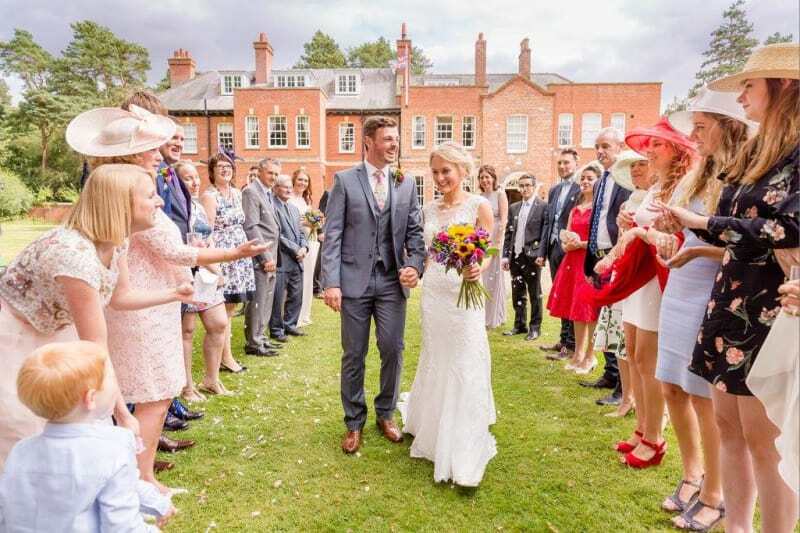 See the charming Woodhall Spa Manor in their Bridebook profile.